When you need to replace the missing tooth or cavity tooth, you have two options: one is traditional bridgework and another is to select the newer option of dental implant. Both offer a perfect solution; however there’s a lot of difference in it. Dental implants in Melbourne treatment is a lifetime solution but here in traditional bridgework, it gives the appearance you need.. Hope you got the point! Here let me discuss about the one which is now in your mind. You might have heard a lot about dental implant, but here I will tell you what you don’t know, and what you should know! Dental implant is the life saver of an attractive smile. It resort your smile plus improve the appearance. There are totally 3 steps to complete the dental implant treatment. First the dentist will remove your damaged teeth and then your jawbone will be prepared to place a dental implant. The final stage of the treatment is dental crown. But these processes will takes three months to nine months to heal and for the growth of new bone in your jaw. Do not disturb the surgical area today. Start rinsing your mouth with warm salt water. Limit your physical activity following surgery. Keep lips moist with cream or Vaseline to prevent cracking. Take prescription medications as directed. Eat only soft foods for several days, always trying to chew on the opposite side. Take juice, water, milk, coffee and tea. Consider cooked cereals, such as oatmeal or cream of wheat, yogurt. Implant, abutment and crown will work to look like a natural tooth and make sure that there are no problems. What you have to do is to visit your dentist and discuss the details on tooth implants in Melbourne. 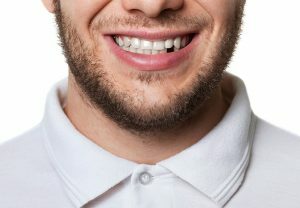 Does tooth implant in Melbourne last long? Then, the answer is Absolutely YES, like the natural teeth, the implant teeth won’t get affected by decay or anything. You need maintain your dental implants like your natural teeth. The success rate depends on how you maintain your teeth. So do check-ups, cleaning and home care and get the long lasting teeth and smile. This entry was posted in Dental Implant, Missing tooth. Bookmark the permalink.